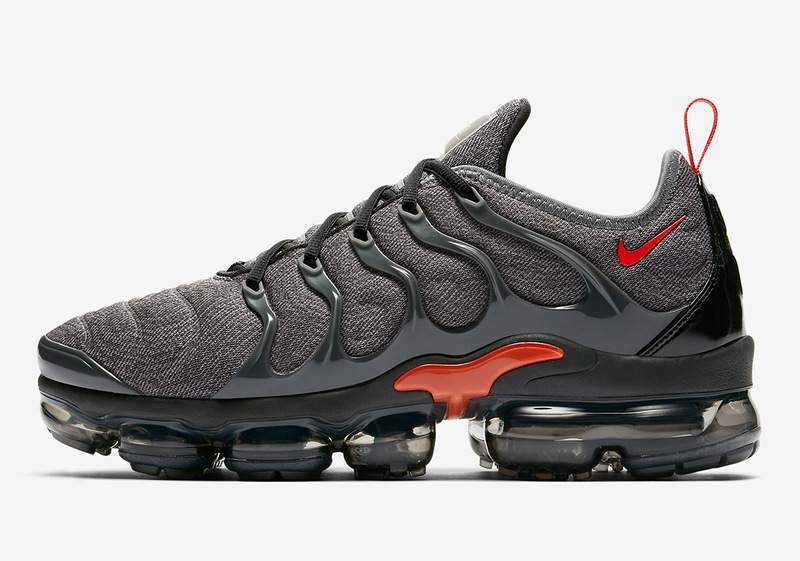 Somewhat surprisingly, Nike’s Vapormax Plus creation has cemented itself as the brand’s most popular hybridized Sportswear concept that combines an Air Max upper with a Vapormax sole. Its tropically-inspired upper and its breaching whale tale-inspired sole unit perfectly transitions into everyone’s favorite eye-catching air bubbles. Having released in a cornucopia of exciting color schemes already, the Swoosh is ready to add another must-have to this mix with this clean red and grey combination. While most of the Vapormax Plus selections come with underlays that boast smooth and seamless looks, this new addition to the fast-growing line opts for a more textured mesh aesthetic. Red gets added to its midfoot shank, Swoosh branding, and its customary heel poop for a flash of color. Grab an official look at this stately Vapormax Plus below and look forward to its arrival on Nike.com in the coming weeks.